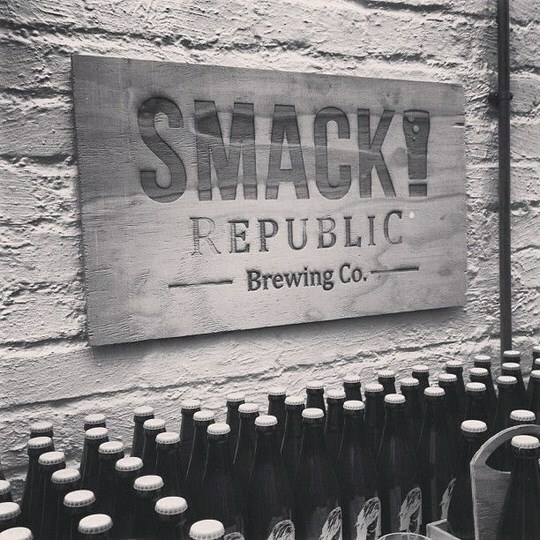 Talking (& Drinking) Craft Beer with SMACK! Republic Brewing Co.
There’s a lot of hype surrounding the boom of craft beer in South Africa and over the past few years we’ve seen the rise of over 40 craft breweries and over 20 annual beer-loving festivals across the country. In the build-up to the Joburg Festival of Beer, we’ve found loads of people who are itching to get their beer mugs brimming and clinking. I chatted with Andrew from the SMACK! Republic Brewing Co. to find out why South African’s should be talking (and drinking) craft beer. First things first…who is SMACK! Republic? The name “SMACK!” has several meanings. Firstly, “smack” is a slang term for yeast, which is the lifeblood of brewing. Secondly, it represents our fight for the respect of real beer on the streets of Jozi. Thirdly, it symbolizes the collision between the old city charm and inner city revival. What made you fall in love with craft brew? We started home brewing in the garage many years back, and this hobby turned into a passion, which eventually led us to open the brewery. We started to see brewing as an art form where we could express our creativity and ideas through the beers we made. The nuances of beer became fascinating, how a few more grams of hops, or a few degrees change of temperature would produce drastically different results in the finished product. The word “craft” makes beer sound like art. Would you agree? To us, beer is an art form. 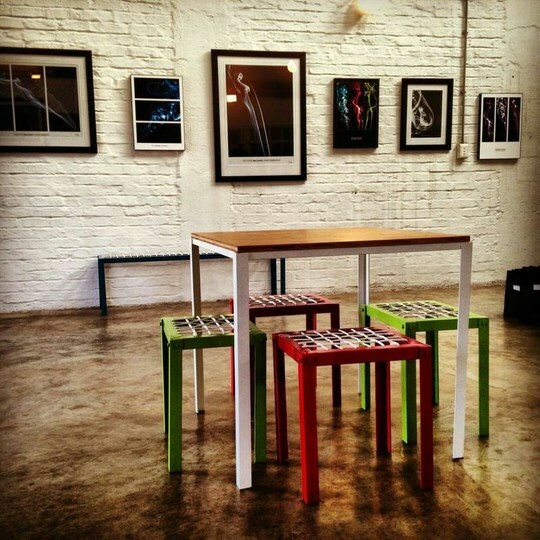 We bring together the world of craft beer and art in our brewing process, our distinctive bottle designs, and our gallery space where we host monthly exhibitions for young and exciting photographers, artists, and musicians. What makes craft beer different from other beer? Craft beer tells a story; be it through the unique style of the particular beer, where it is made, how it is made, or who has made it. Why should South Africans be drinking craft beer? South Africa’s commercial market is dominated by Lagers and Pilsners, so the first step is to forget everything you think you know about beer. Craft brewers push the boundaries and produce styles of beer that have never been seen before by the majority of the public. Ales, Weiss, Blondes, Dunkels, Saisons…you will discover rare styles of beer with flavour, aroma, and personality. Which South African breweries inspire you? We have been inspired by different aspects of various microbreweries in SA, a few examples being Devil’s Peak’s flair, Jack Black’s commercial prowess and successful growth, and Triggerfish’s multitude of beer recipes and ideas. We’re also constantly inspired by home brewers. It is amazing what people can produce with home kits and we encourage all home brewers to push the boundaries with their recipes. What can we expect from a beer tasting? First and foremost, craft beer must be drunk from a beer glass. Appreciate the colour of the beer and the head. Smell the aroma. Similar to wine or a fine whisky, beer aromas can range from granadilla, litchi, and grassy, to coffee, chocolate, and caramel. Sip gently and feel the beer slide over the front of your tongue to the back of the palate. Each style accentuates a different aspect of the flavour and aroma profile. What craft beers do you have to offer? We have 3 beers themed around downtown Jozi. The Bree Street Belle is a well-rounded Golden Ale with moderate bitterness and a subtle floral nose; a fitting gateway into the world of craft beer. 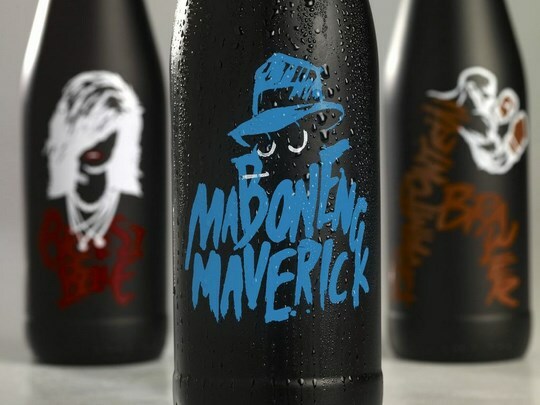 The Maboneng Maverick is a bold Biere de Saison with naartjie peel and black pepper; the perfect thirst-quenching summer beer. The Braamfontein Brawler is a tough, bitter India Pale Ale with aromas of passion fruit and pine. We also do experimental brews every month with creative beers such as coffee, raw chocolate, honey, passion fruit, and so on. When are you open for public tastings? We are open every Sunday from 10am – 4pm, and the first Thursday of every month from 7pm – 11pm. But we’ll be expanding our hours towards the end of the year so keep an eye out. We host beer and food pairings on Saturday afternoons in winter and Saturday evenings in summer. We visit 7 different restaurants in the Maboneng Precinct and pair their dishes with our beers and others. We will also be hosting home brew intro courses where we’ll talk beer with new and experienced home brewers. Visit www.smackrepublic.com and get on the mailing list to stay up to date! Do you have a favourite craft brew? 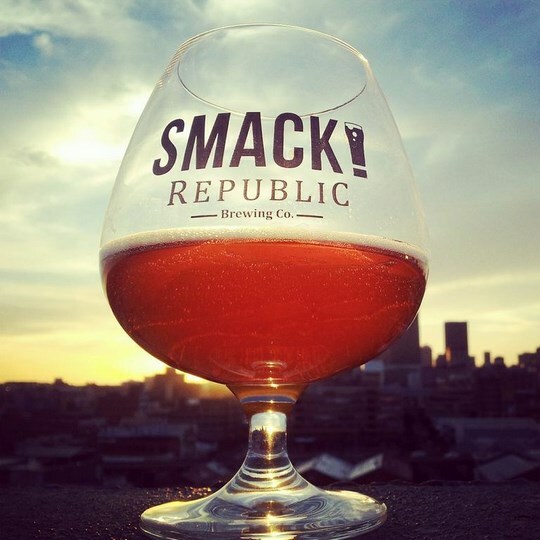 If you’ve never tried one, I suggest you get to the Joburg Festival of Beer where you can meet the SMACK! Republic team and try over 200 free samples of craft beers!